- "A" for effort I suppose on part of the actors. The script may have sucked, but the actors did try to make it work. - Although other film critics have bashed the visuals for this film, I have to respectfully disagree. This new reboot features arguably some of the best visuals I've seen for a "Fantastic Four" movie thus far. It's just a shame the rest of the film couldn't live up to it. - Too much exposition, and not enough character development. - Although I'm sure this was unintentional on part of the movie, but Reed Richards seems like a giant a**hole; especially to Ben Grimm, who had no reason to forgive him at the end other than plot convenience. 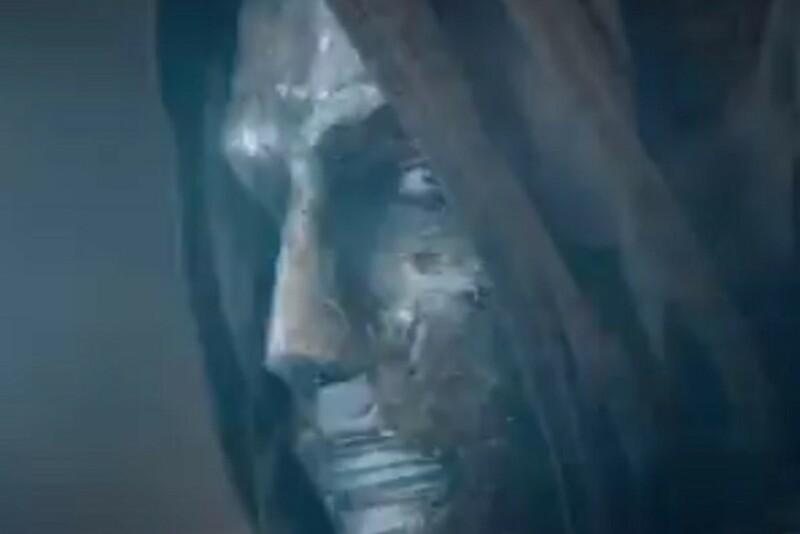 - Dr. Doom was poorly mishandled, as he's merely used as a plot device to move the story along. For franchise that features the word "Fantastic" in it's name, you'd think that at least one of their films by now would've lived up to it. Sadly, we're still on waiting on that. While the first two big budget "Fantastic Four" films had their flaws, they were at least watchable. As for Roger Corman's unreleased stinker, I'll be the first to admit that it had problems, but it falls along the same vein as Adam West's version of Batman, where you could argue that it's so campy and stupid that it's a lot fun to watch if only to make fun of how absurd it is. Sadly, this is way more than I can say about Josh Trank's darker grittier take on the franchise. Granted, there's been a lot of rumors floating around about this movie. Some reports are saying that Josh Trank (the director) showed up drunk on set half the time, and it led to a lot of behind the scenes drama. While Trank himself tweeted how it was Fox that was the culprit behind this, as he basically implied they meddled with his original vision for this movie that he claims would've been loved by both critics and audiences alike. In short, it's become a "he said she said" type of scenario at this point. 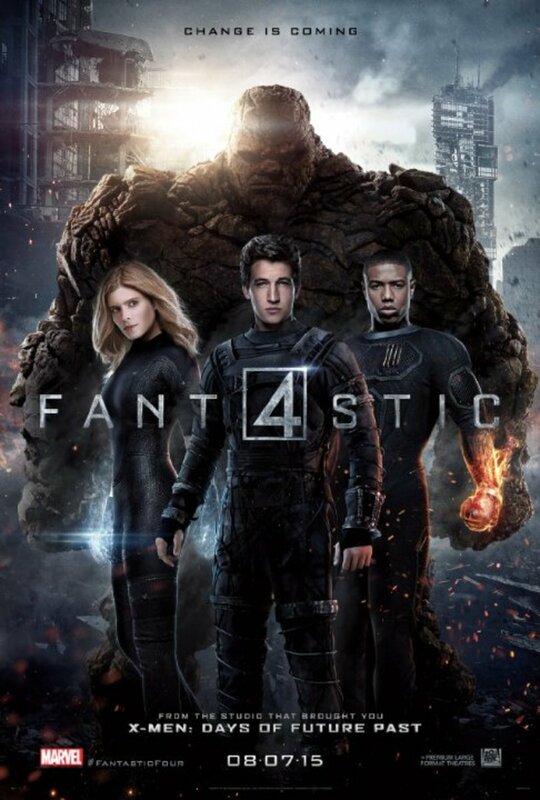 Regardless if you're siding with Trank or Fox on this issue, one thing most people seem to be agreeing on is the fact that this reboot of "The Fantastic Four" is arguably one of the worst superhero films ever made. I know a lot of film critics have bashed this reboot primarily because they feel a darker and grittier tone doesn't fit the idea of what these characters represent, while others will flat out state that no superhero movie should be dark at all. Hm..I guess some of these film critics never seen Christopher Nolan's brilliant "Dark Knight" trilogy. While they're entitled to their opinions, I have to respectfully disagree. The tone of the movie wasn't the issue with this latest stinker. It was the story. The lousy editing, and arguably the overall direction of the movie was a mess. Those were the real issues behind this movie. Loosely based on the Ultimate version of the Fantastic Four from the comics. Reed Richards (Miles Teller) is an aspiring young college studnet, who comes up with a theory for matter teleportation for the local science fair. However, none of the judges at the science fair take him seriously , but his project was impressive enough to earn him a scholarship from the Baxter foundation, as Dr. Franklin Storm (Reg E. Cathey) believes that Reed's teleportation theory might be the key to unlocking inter dimensional travel. 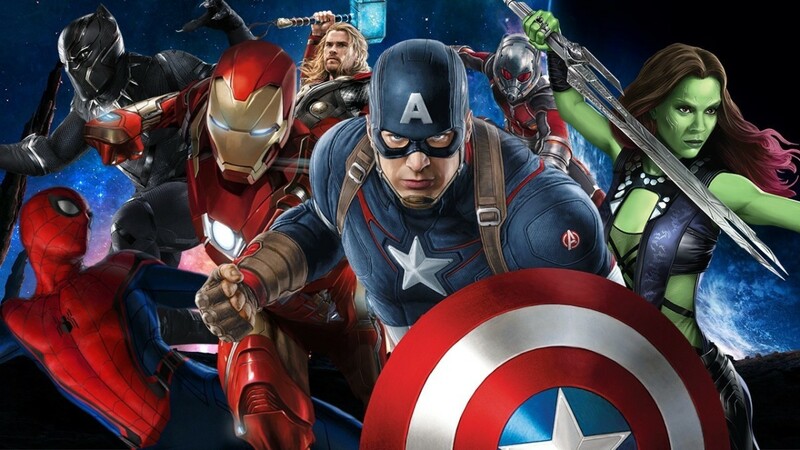 Afterwards, Reed is introduced to his team that'll be helping with his project; which includes Dr. Storm's adopted daughter, Susan Storm (Kate Mara), and Victor Von Doom (Toby Kebbell), who originally invented the theory for inter dimensional travel. Of course, Johnny Storm (Michael B. Jordan) is recruited to be the team's engineer, after he gets into a bit of trouble with the law. And it's quite interesting considering when Johnny is bailed out of jail by his father, we see a bit of an insight into their relationship. As we find out, Johnny is a bit of a troublemaker, who might have some hidden jealousy issues towards his adopted sibling. And given the fact that Josh Trank did say he wanted to portray inter racially mixed families in the "Fantastic Four" reboot, you'd figure that maybe that would be something the movie would explore. Maybe there'd be a subplot about how Johnny holds a lot of jealousy towards Sue because he feels that his father loves her more than him, even though he's not her biological father. Yet somehow around the end, he would start to realize that it doesn't matter if they're related by blood or not, as they're still siblings. It would've been an interesting story to see unfold, but the movie never touches upon it again. Hell, it's not even referenced again. And therein lies the rub with this reboot. The new film is so wrapped up with exposition trying to set up this expanded universe that it never takes the time to establish who the characters are individually, or fleshing out any of their relationships. In one scene for instance, Dr. Storm subtly hints to Sue Storm that Reed might be inclined to listen to her after he runs away, but why? Throughout the film, they barely talk to each other. They barely have any chemistry together. Let alone have they shown any kind of romantic interest with one another, so why would Reed be more inclined to listen to her? Hell, you could make a bigger argument that Ben Grimm (Jamie Bell) has more romantic chemistry with Reed Richards because of their earlier bromance they had going on back when they were kids. And speaking of Ben Grimm, many of my readers will never believe how he gets involved into all this. Unlike the previous "Fantastic Four" movies where Ben had an actual reason to be on that shuttle trip that gave them their powers, this one happens a bit differently. Take in mind, this is supposed to be Trank's darker and more REALISTIC take on the story. Keep that in mind because what I'm about to say may blow your mind. Earlier in the film, it was established that Ben and Reed grew up together as kids, and it was shown that Ben helped Reed out with his science project that led to him getting a scholarship, with the Baxter foundation. But here's the thing. Although Reed Richards was granted a full scholarship to participate in this project, Ben wasn't given one at all. Nope, he wasn't even on the damn team. He's not an engineer. He's not a pilot. He's not a scientist at all. In fact, he's helping his folks manage a junk yard, while Reed does his science crap at the Baxter building. But you want to know how he gets involved in all this to where he gets his powers too? It's quite easy. Reed Richards invites him over the phone, while he's drunk. Yes, Reed Richards is drunk off his proverbial a**, while telling Ben how he can't go across other dimensions without him considering he was with him since the beginning. Of course, security conveniently allows Ben into the building because Reed says it's "OK." The four of them go to another dimension, while Sue stays behind as she remains oblivious to what they're doing. Something goes wrong. They barely come back alive. Victor Von Doom is lost in the other dimension, and he doesn't come back until the climax. And of course, Sue gets hurt in the crossfire. Like all the other versions of this story, they each get their own unique powers. Reed runs away somehow, as he essentially abandons them with little to no explanation why other than he's scared. And to make matters worse, you'd think the other three members that are being experimented on by the military would be outright pissed off at Reed Richards, but nope. Johnny even hugs him as if they were friends once he meets up with him again, even though it was established they didn't have such a close relationship before. And by the climax, it seems Reed is forgiven far too quickly, even by characters who had no reason to forgive him like Ben Grimm. This is where the film falls apart. Because the movie itself never cares enough to establish the relationships between these characters, we never grow to ever care about them either. Instead, the film focuses on setting up this potential universe for them to play in, but we never get to know who any of the key players are. 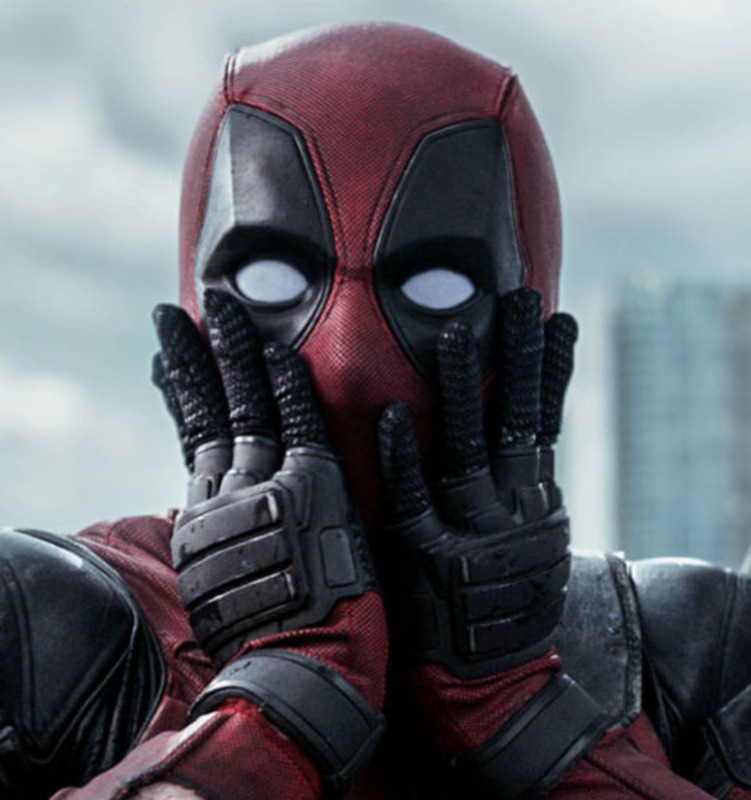 Many characters come in around the beginning of the film that you think are going to become major players in this story, but they're never referenced to again. Dr. Doom isn't even in most of the film, and he's merely used as plot device to move the story along. The characters are barely fleshed out, and the story feels unevenly paced. The beginning of the film tends to drag it's feet a lot; hence making it feel longer than it actually is. But when we get to the climax, it feels like everything is rushed for the sake of giving us a dumb action scene that really makes little to no sense in context of the overall story. Granted, the actors are trying their best to make it work, and you can tell the special effects artists did a great job on this film. 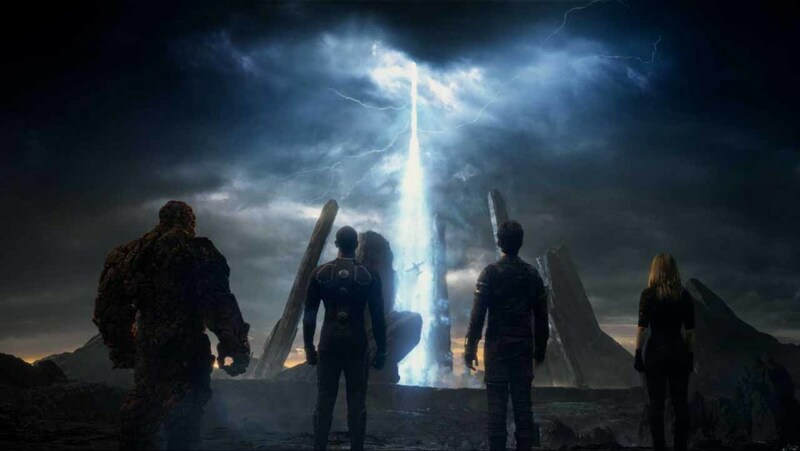 In fact, i would argue that this features some of the best visual effects you'll ever find in a "Fantastic Four" movie, but it's a shame I can't say that about everything else. Overall, i would advise all my readers to do themselves a favor, and don't see this abomination of a movie. Trust me, you'll thank me for it, as nobody should have to watch this fantastic piece of crap. Warning: This Video Contains Adult Language and Suggestive Dialogue. Parental discretion is advised.